Digital marketing can be confusing at times. Although experienced firms can help businesses navigate the waters of the Web, every business owner should understand two key points when entering the online marketing world: paid versus organic search results , and the importance of quality website content. When a search term is submitted to Google, two events occur almost instantly: a bid takes place and a query processor makes an inference. The outcome is a search engine results page (SERP) that contains paid advertising at the top and to the right, and an organic listing of web pages that are ranked according to the relevance between the search term and the content on the pages. Depending on the industry, business owners can benefit from implementing both paid and organic strategies. But, generally users trust organic results more often than paid. 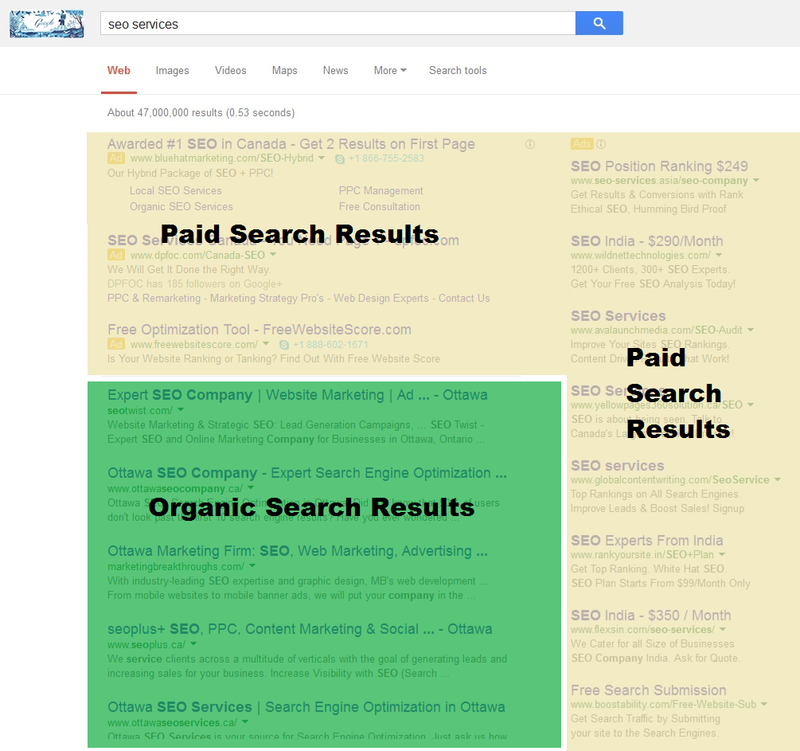 Above: A SERP showing organic and paid search results. To appear in the paid results, advertisers use a web-based platform such as Google AdWords to bid on industry-specific keywords. When a search is performed, a number of factors, including advertiser budget, are considered before producing the results that users see. Search Engine Marketing (SEM) is the term used when referring to paid advertising. Organic search results are generally more complex than paid, as they are based on over 200 factors calculated by software called Googlebot. Googlebot’s goal is to give users the most relevant search results possible when a query is submitted. 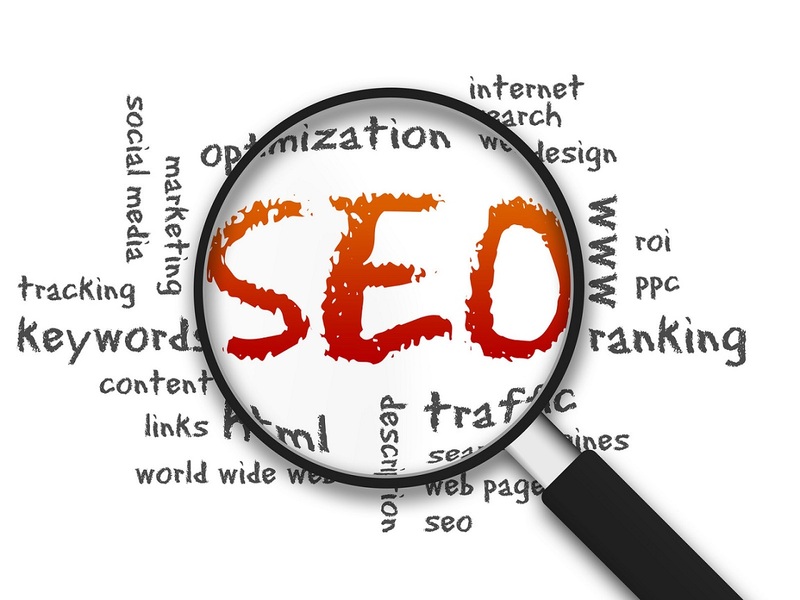 Search Engine Optimization (SEO) is the term used when referring to organic search. Another component of digital marketing, and specifically for SEO, for business owners to consider is the importance of quality content. Although Googlebot reads web content and then decides where to rank each page, content should nonetheless be written for a human audience. In the past, many websites were “stuffed” with keywords that businesses were trying to rank for, contained formatting that was out of context, and were often difficult to read. These kinds of “spammy” SEO tactics focus on tricking search engines into believing that the website content is highly relevant. Instead, content should be written to create an exceptional user experience. Since 2011, Google has implemented several major changes to its search algorithm (known as Panda and Penguin), which have made Googlebot more capable of reading like a human. As Googlebot becomes more intelligent, it’s increasingly capable of recognizing bad practices, and websites that engage in such tactics will lose SERP rankings. Although digital marketing can be complicated for business owners, it is essential to understand the basics. Knowing the difference between organic and paid search results and how users interact differently with both will ensure that marketing strategies are being implemented effectively. Furthermore, ensuring that website content is focused on user experience will help the long-term goals of business owners trying to rank their websites higher in search engines. 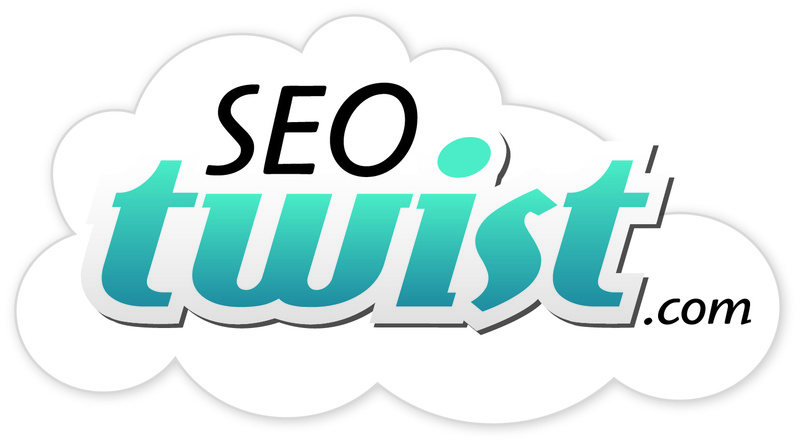 Craig Graham is an SEO/SEM Analyst at Ottawa-based digital marketing firm SEO TWIST. ‹ Buyers Are Everywhere—What Are You Doing to Help Them Buy?